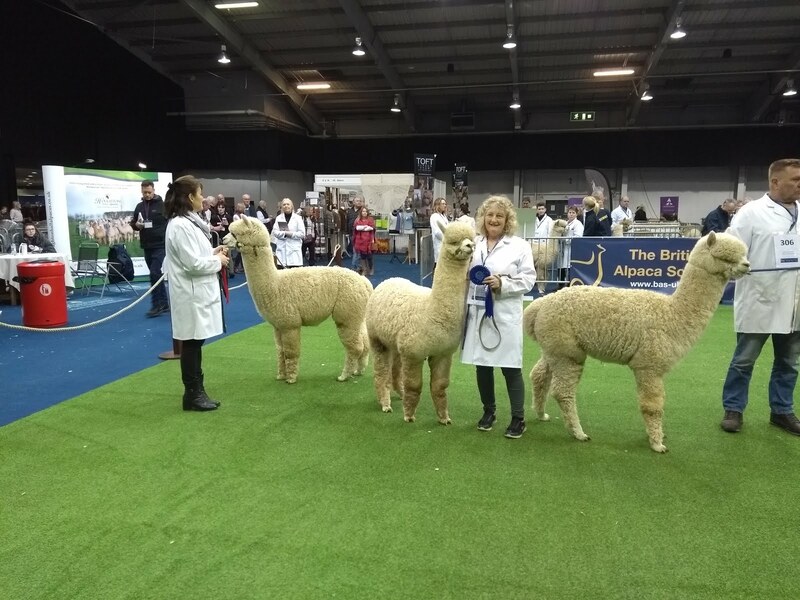 Apple Vale Alpacas: First breakfast - and shearing begins. 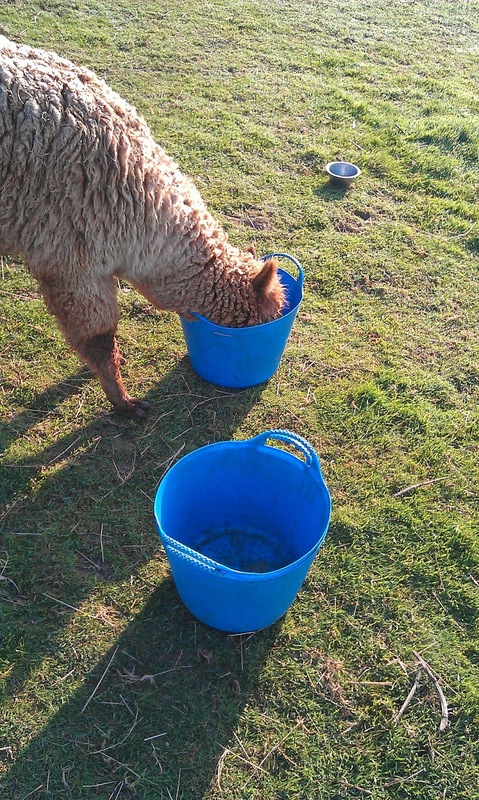 Bramley and Elstar both sit for the feed bucket. 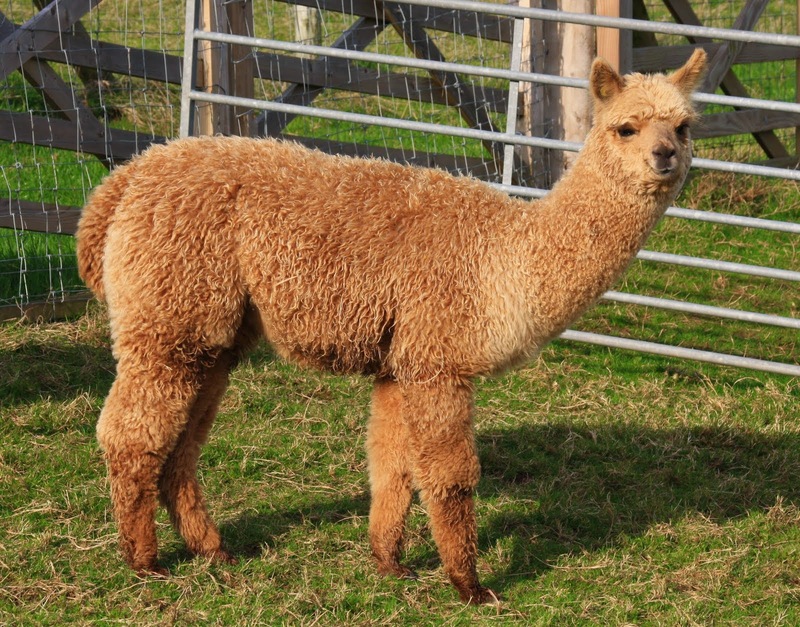 It's interesting to study cria as they grow up, and see what traits of their mother they pick up - whether it is instinct or visual. 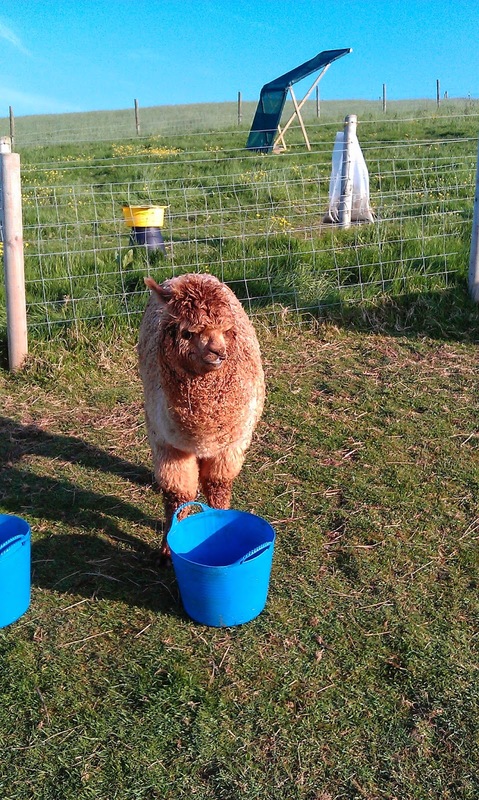 Bramley often sits for her mineral supplement, and rolls the bucket over with her neck. Recently, her daughter, Elstar started this, but hasn't bothered eating it... until today that is, when she had her first manufactured feed. Is she eating, or looking? 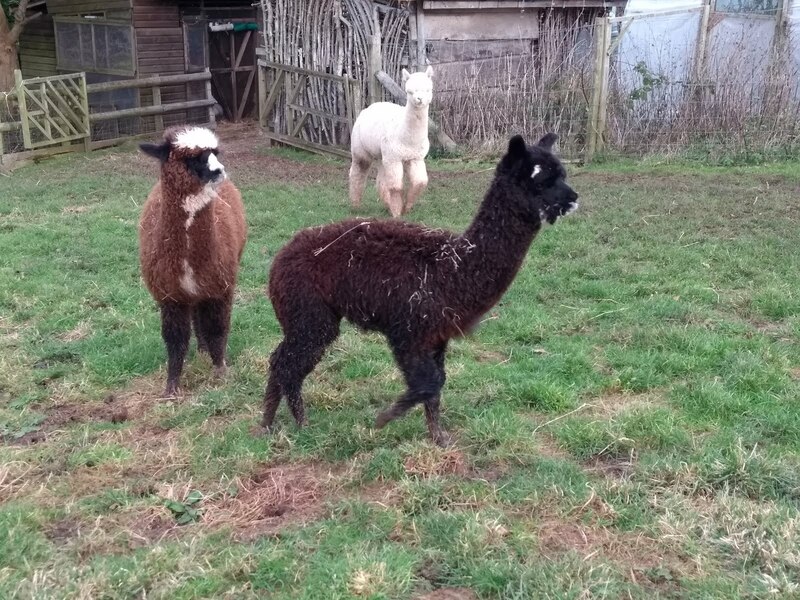 Yesterday the South West Alpaca Group held a "chukka" - a social gathering, with lunch, to kick around thoughts, and ideas for alpaca-related activities for the group. So today, with continuing good weather, we kicked off our shearing season - we didn't set a silly target, so did the two most heavily fleeced (Juniors excepted, as they have two shows coming up). 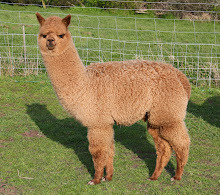 Apple Vale Freedom discusses with Joy, what garments she would like her fleece made into. Empress checks who the 'new' member of the herd is. Meanwhile, Scrumpy fancied the look of ladies with a new hairstyle, and his testosterone got going and set him strutting up and down the fence line! 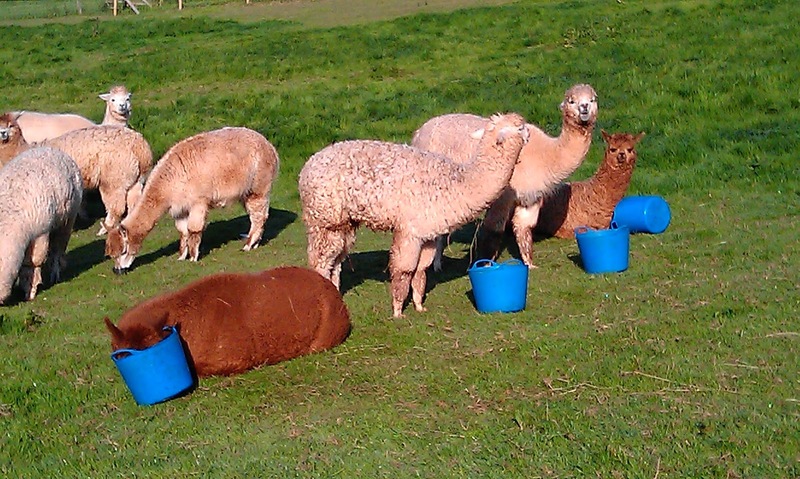 You can't beat leisurely, stress free shearing! I envy you your barn to shear in - so much nicer than a pen with the sun beating down! Hehe - a different kind of stress, rather than stress-free - it's personal! 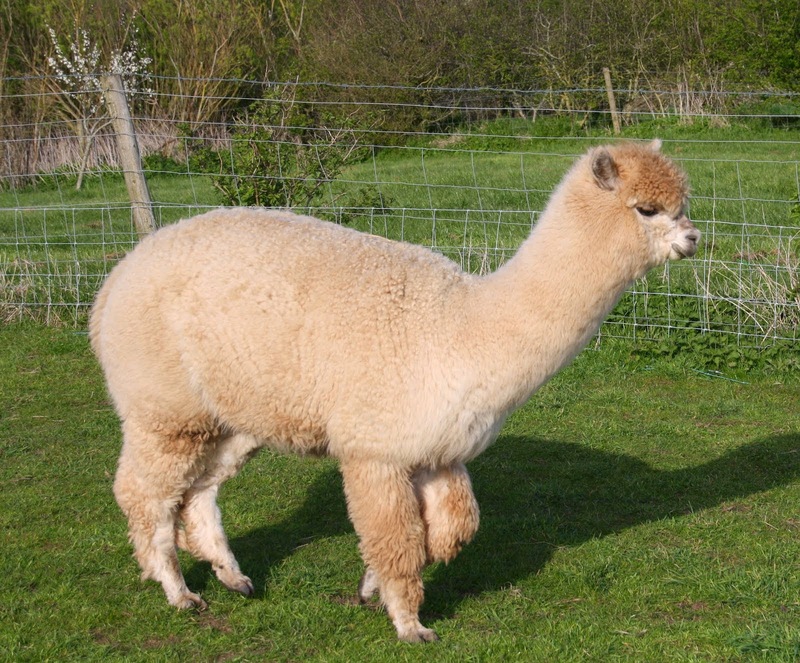 Are the two of us strong enough for the bigger, more resistant alpacas? - will our backs hold up? but definitely no worries about the weather, or delays in the shearers schedule etc. - I wouldn't want to do 60, 2 or 3 at a time Barbara, let alone 110!. Lisa, you can't capture the squealing on a photo - Freedom usually does more of a 'miaow', but being pregnant is a bit of a squealer! I love to see how family traits pass on, we have a family of trough rollers, every single on of them do it, boys and girls! Happy shearing; over 100 to do here so glad I'm not doing it!! 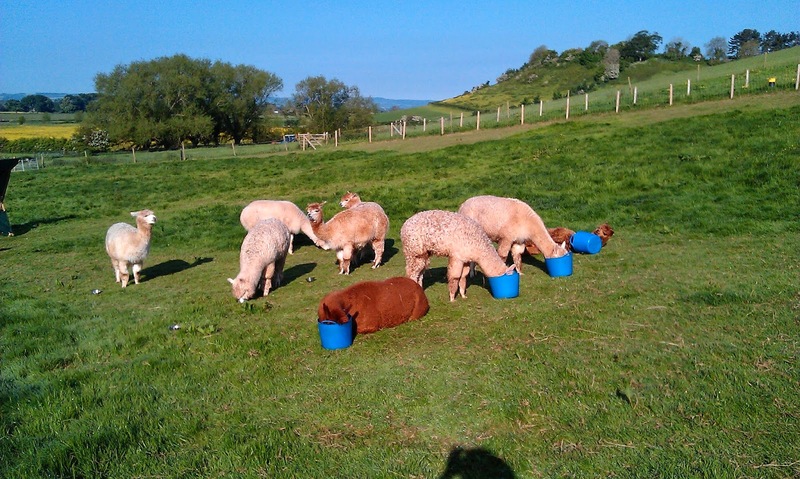 The most interesting trait we've noticed is a sort of licking tongues with their...and other crias! We have a family that have all done this...it's lovely to see as it's so gentle! We also have a family of "Diva's"!